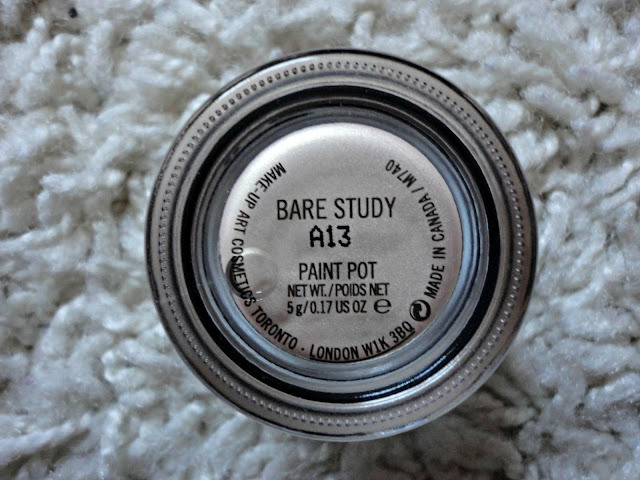 Another of my '10% off Debenhams offer' purchases, the MAC Bare Study Paint Pot has been raved about by pretty much everyone. With the promise that it offers the perfect base for powder eyeshadows, as well as looking lovely on it's own, I was dying to try this out. 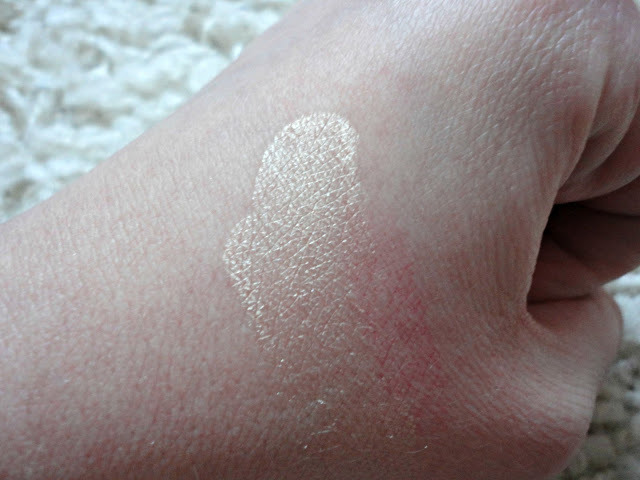 Bare Study is a pretty gold, champagne colour, described on the MAC website as a "solf beige with gold pearl". At £14.50, it's a pricey cream shadow, but I haven't seen a drugstore dupe yet. It is similar in size and texture to the Maybelline Color Tattoos, it's just a shame they don't have a Color Tattoo in a similar shade. I have to say though, these little Paint Pots definitely live up to their reputation. They're so easily blendable - making them the perfect base for any gold/brown smokey eye. 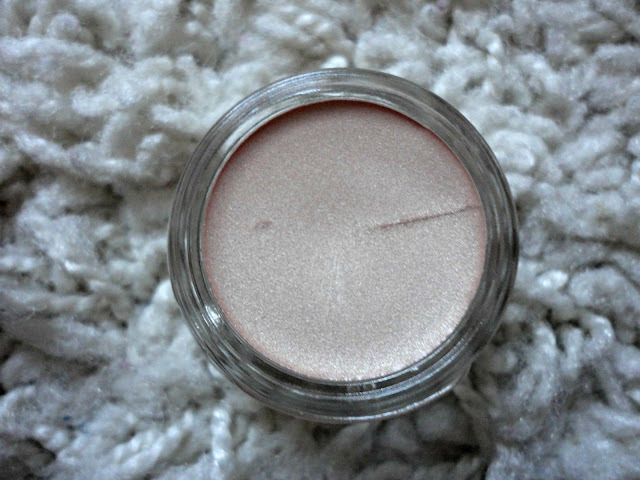 I've not used this on it's own yet, but I imagine it would look lovely with a flick of eyeliner for a simple daytime look that's perfect for any shadow-phobe. I would say it's best applied with your finger, and blended out with the ever faithful MAC 217. It dries fairly quickly to a soft but pigmented finish. This particular colour is absolutely gorgeous and since I've been wearing fake tan this week, I can confirm that it looks fab with a tan! 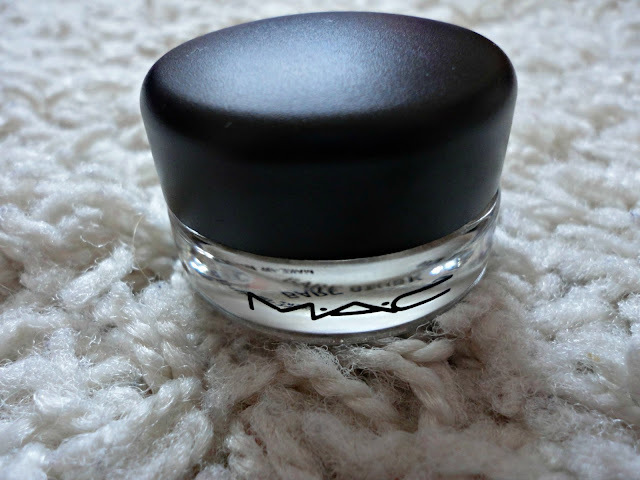 It has a slight shimmer to it, without being glittery or overpowering for daytime use, and paired with MAC Embark, it gives a gorgeous everyday look. I have heard that Paint Pots can dry out easily, as with most cream products, so I've been making sure to keep the lid tightly on to prevent any product getting wasted. There is a lot of product so, although it's pricey, it will certainly last a long time with the right care. I imagine this would suit most skintones too, as it's very flattering and can be built up for more dramatic colour or left with one sweep for an effortless look. There are currently 19 Paint Pots to choose from, and with such pretty colours unlike anything I've seen on the high street, I'm sure it's only a matter of time before another one is in my possession - I have my eye on Painterly! You just reminded me that I need to pick another of these up. I used to have Bare Study ages ago but finished it (it didn't get too dried out though).